This is a multi-functional keychain carabiner that measures 2.9 x 1.0 x 0.4 inches. As we can see from the images, the multitool features a compact form factor, and the dual carabiner design and included keyring let you effortlessly keep it staying with your keys. Meanwhile, it’s made from high-quality stainless steel for a solid and long-lasting construction, and three optional colors allow for different personal preferences. 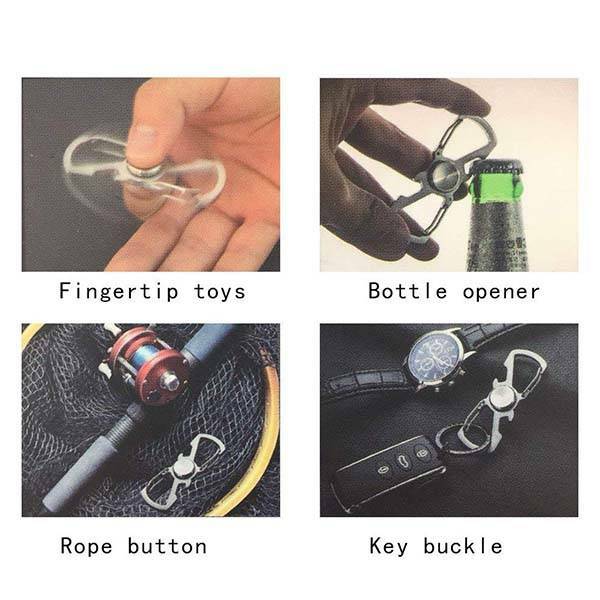 With its durable design, the EDC keychain serves as a fish rope buckle or climbing buckle, and two bottle openers allow you to open your favorite beers at any time. Furthermore, using a symmetrical design, the multitool also acts as a finger spinner that helps you relieve your stress when needed. 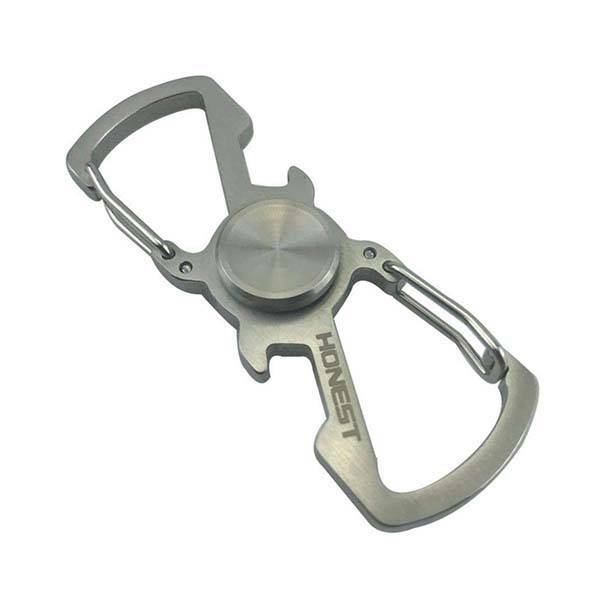 The 5-in-1 EDC carabiner is priced at $11.59 USD. If you’re interested, jump to the product page for its more details.